This blog is for the benefit of anyone actively studying or teaching West African djembe drumming and for those who attend an African drumming class. It could also be useful for teachers as well – expert instructors, school teachers and anyone who uses West African drumming to support their teaching profession. For me these words represent the most effective stages for learning and processing a new rhythm. First – hear it and really listen to it– without playing! Next – vocalise the rhythm - still keeping those hands off the drum, hard as it is! Do not skip the first two! To varying degrees I have used all three for years. Only now I am recognising that in my most productive periods I am applying all three in the right order. It is beautifully simple. Of course you can’t learn to play something if you haven’t heard it (or in the case of deaf musicians literally ‘felt it’). But if I look back at those times through the years when the material I was learning defeated me, I could honestly say that the learning process was ‘hands first with a minimal degree of ear afterwards’ and as for the mouth (oral reciting) forget that - it didn’t happen. I have been researching, performing and teaching African djembe drumming for over 20 years. This has involved attending intensive African drumming courses in the UK and West Africa; teaching students in primary and secondary schools; and using African drums and percussion to motivate company managers and employees in business. In all these different situations it is fascinating to see the ways in which people learn and process this musical form. With many people experiencing African djembe drumming for the first time, it is impossible to ignore the wonderful tactile appeal it has. ‘Drum rumbling’ is a truly cathartic, therapeutic and a liberating experience - your hands just want to play and make some noise! For many people in these early stages it can be hard to stop and give yourself time to listen, as there is a natural impulse to just start the hands playing as quickly as possible. But when people give themselves some initial time to listen and do some vocalising of what they have heard (either by using words or making phonetic sounds) they can learn very quickly. In African drumming classes, some initial time spent listening creates fantastic results. Give it a few minutes and a rhythm can sound completely different to the way you heard it the first time round. It is so simple that it could be easily missed. If you want to learn African drumming – listen to it. Listen and listen again – without playing or doing anything else. A friend who now works with me at Unbeatable Energy did exactly this when I first met her. She came to the drumming class I was running. Most of the other students were already familiar with the drum repertoire, as they had been attending the class in previous weeks. After a fair bit of trial and error, they had managed to learn some quite challenging material. My friend had started the class halfway in to the course so was unfamiliar with everything previously covered. During the first 10 minutes of the session she didn’t touch her drum. Initially I interpreted this as her being overwhelmed, but 10 minutes later she was playing everything perfectly and seamlessly. Far from being overwhelmed or confused, during that first initial period where she didn’t play, she had simply been listening and taking everything in. As a result, what had taken other students 10 weeks to learn, she had managed to play in just 10 minutes! All because she gave some time to calmly listen without doing anything. Some initial time spent listening creates fantastic results. Give it a few minutes and a rhythm can sound completely different to the way you heard it the first time round. If we rush this precious period in learning, our mind can play tricks on us. Rhythms can remind us of other things we have heard before and this can get in the way of hearing something the way it should be truly heard. The problem is not what we don’t know but trying to get the stuff we already know out of the way. Regardless of any formal music training (and whether you like it or not); if music has been in the background of your life (i.e. on the tv or radio), your mind has processed it, learnt and memorised it. Your mind can then recall this as a way to interpret something new. It is exactly the same as the way our memories shape the way we interpret and judge situations and people. Past memories can be useful but often don’t provide an accurate interpretation. Experienced musicians can also fall foul of this - some have a tendency to ‘rush in’ using their existing skills and pre-conceived knowledge of how to play something new. If we give a new rhythm a bit more ‘listen time’, we start to hear things which break these assumptions and we can start to hear the rhythm in a different way. Consciously or unconsciously, we start to reconsider the way the pattern fits around a pulse; the sound or pitch of the drum beats; the length of the pattern’s cycle; where the pattern begins and ends and the swing or ‘feel’ of the rhythm. The more attention one can give to these considerations in your listening, the easier it becomes to process and correctly recite the new rhythm. Finally as regarding spending time to listen. It is crucial that you hear things against a pulse – this really matters. The pulse gives a rhythm its context. Without it, a rhythm pattern is completely ambiguous and open to misinterpretation. I will be posting a story about this soon - watch this space! Vocalising rhythm is a really effective way to quickly grasp the feeling in African drumming. As you take on more advanced material such as learning the multiple phrases in a passage of drum solo, your mouth becomes a brilliant tool to process and recite things quickly without being impeded by the restraints of hand and arm motor skills. This is particularly the case for advanced students who are attending intensive drumming courses, as there is a lot of material to absorb in a short space of time. Using phonetics (vocal sounds to mimic the sounds of the drum) you can quickly recite a phrase that a teacher has played and then compare it to what you hear when the teacher repeats the same phrase again. As you become more confident you are getting it right, you can try vocalising as the teacher plays. If you vocalise quietly (which the other students will appreciate), you will quietly hear your vocalising against the teacher’s louder playing, so you are more likely to hear any discrepancies that need correcting. If you drum instead here, you may be so loud you won’t hear what you are doing wrong. Finally a warning to school teachers. Once children start vocalising, they often get really excited and start raising their voices until the room becomes a shouting match. Encourage them to vocalise clearly without shouting and help them to appreciate what the object of the exercise is – to use words to make rhythms; not to be louder than each other. As children get louder, all their energy goes into the power of their voice and the rhythm very quickly loses momentum and slows down. How important is hand coordination when learning African Drumming? Finally the hands can start to come in to play. The important thing to understand at this final stage is that your ears and mouth should be in charge. Use your ears to monitor everything you can hear, checking that your sound matches that of the teacher’s and, if you are in a class, try and keep your playing light to ensure that you are always quieter than the teacher and everybody else - even if this means using one’s fingers as opposed to hands. Playing loudly is one of my weaknesses. I have a very powerful slap technique and I have to be careful this is controlled so that it doesn’t ‘drum out’ the teacher or the rest of a class. One of the biggest complaints in drum classes is that people struggle to hear the ‘right stuff’ because the ‘wrong stuff’ is so dominant! Keep vocalising while playing. This may sound tricky, but if you put the effort into vocalising you will quickly find that it becomes second nature. I have a drumming friend who is always singing what he is playing. He seems completely unaware that he’s doing this, but I’m sure that this is one of the reasons why he manages to play flawlessly. Probably the reason why many learners are so quick to use their hands before their ears and mouth for a new rhythm is that they become very focused on the technicalities of hand coordination. There are lots of techniques to African drumming which, if mastered, allow you to play efficiently and with speed. In the early learning stages, coordination is simply about being able to maintain control when alternating the left and right hands. Later on people discover that many of the rhythms and phrases require very specific movements and techniques where you will use a hand twice as opposed to alternating ‘left, right, left, right’. For many people the coordination can be a huge learning obstacle as you have to teach one’s hands to move and coordinate in a way which goes against its nature. It is like trying to write your signature with the opposite hand. Of course there are limitations to how your ears and mouth can help you with this, but I would argue that when learning something new, people can become over preoccupied with hand coordination. If you are so preoccupied with coordination you can also become over preoccupied with looking (at the teacher’s coordination) and this can often be to the expense of hearing. I’m not saying that there should be no attention to coordination and the things you see, but it should never take precedent over what you hear. It is true that coordination, along with sound definition, can be wrapped into a rhythm in such a way that it can become very difficult to keep up in the tempo. Some rhythms and solo phrases have very specific hand movements which, without mastering, can stop one in one’s tracks. It’s never fun to be left behind in a class, let down by hands that are locked into a certain way of doing things. But the thing to recognise here is that if you are actively listening and vocalising you are playing the rhythm. You are also more likely to remember the new material if you set the listening and vocalising as a priority as opposed to ‘seeing it and doing it’. Often with a strong focus on vocalising, one’s hands can intuitively play out a new rhythm, even if they don’t have perfect coordination and efficiency. The coordination might need revising but this can be amended at a later stage – habits can be broken and changed! Moreover with more advanced levels of drumming, there are several acceptable ways to coordinate a given phrase anyway. In fact many African masters are ambidextrous and will change their coordination for a given phrase throughout their playing. But let’s suppose you are a ‘doer’ who feels that without actually playing the rhythm out with your hands you really aren’t learning it. Consider the motives for having a lesson or attending a class in the first place. It is wonderful for our confidence to learn something new and feel that we’ve pretty much mastered it by the end of the session. But is this what it is really about? Getting things right first time? (If that was so I should feel completely disillusioned by now!) If it is about the long term vision of improving ones overall playing over time, the consideration is not what you can achieve at the time, but what you take way for continued practice. You can easily forget what you saw the teacher do, but what you heard and verbally recited will stay with you. If you can get the permission, make a video recording of the teacher’s coordination and technique so you can look at this for a later date, and not be burdened with this during the session. So finally - how has this three word mantra Ears Mouth Hands worked for me? In the last 12 months I have been attending some seriously intensive African drumming courses with a renowned teacher in the UK. 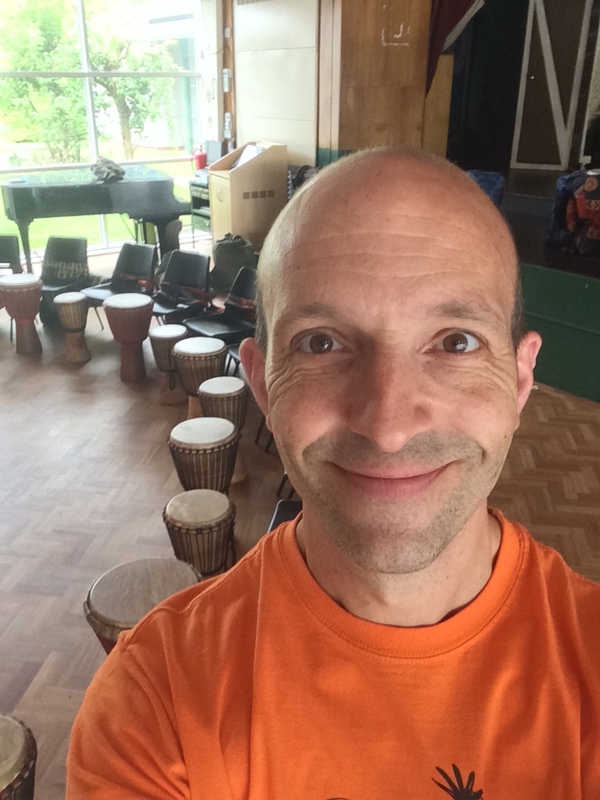 This teacher has travelled throughout Mali and Guinea Conakry in West Africa and has a vast wealth of skill and knowledge of djembe and dundun drumming. During the three day intensive course, the teacher explores two or three rhythms in depth, looking at their many accompanying parts, variations, solos and songs. There is a huge amount of information covered over the three days. Everyone can take or leave what they want to learn according to their level, but if you are like me and enjoy learning it all, there is a huge amount of material covered in a short space of time. The first time I attended the course I managed well on the first day. The second day my mind began to start feeling full and by the third day I was accumulating so much information I felt overwhelmed. 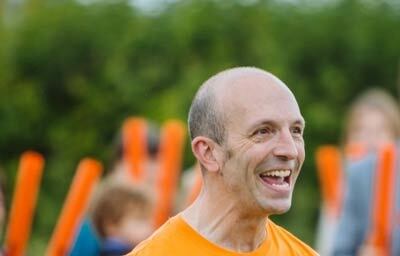 At the end of the course, my mind wasn’t just exhausted – it was truly ‘fried’! The great thing about this teacher is that he provides transcriptions and video recordings of everything covered in the course, so for the next 6 months I studied the rhythms and incorporated the material into my own evening class sessions. During this time I did two things – I emphasised with the students in my class the importance of initial listening and vocalising. I also encouraged them to join me for the teacher’s next intensive course – which many of them did. If you are a teacher you know full well the importance of practicing what you preach – the hard part is putting what you say into action. So considering that I would now be attending the class with my students, I knew I had to be true to my word or risk being super teased by my students! As a result my experience at this course was entirely different and I really found that listening and vocalising helped enormously. It was still hard and I’m not going to claim that I really mastered everything there and then. (I know I still have a fair bit of work to do on capturing the ‘swing’ in the rhythms taught.) But in comparison to the previous course, I was able to remember so much more of the material. More importantly I enjoyed the course much more and my brain was not fried at the end. By the last day, I could vocalise full passages of even the most advanced material and could honestly say I could have attended another intensive course the next day! I was astonished by what I was able to take in and yet realised that what I needed previously was just a different way of learning – relying less on seeing and doing and more on hearing and vocalising. If you also play and teach African music, you will also know how wonderful it is to learn and master new things and also how frustrating it can be when you or your students struggle to hear and recite something properly. If so, I hope that this post is useful to you. Why not drop me a line with your own thoughts and experiences.